Harry Minor & Stephen Gale won the MSMBA 2 Bowl Pairs title at the NSC last Sunday after an 18-2 win over Ali Millard & Tony Quine. Chris Holland & Dave McCabe fought back to claim the MSMBA 2 Bowl Pairs title after a dramatic last end saw them take 3 shots to win by 1 over Seamus Whelan & Collin Holland. Chris Holland & Stephen Gale won the MSMBA 2 Bowl Pairs after beating Eddie Brew & Harry Minor 9-6 in a hard fought days bowling at the NSC. 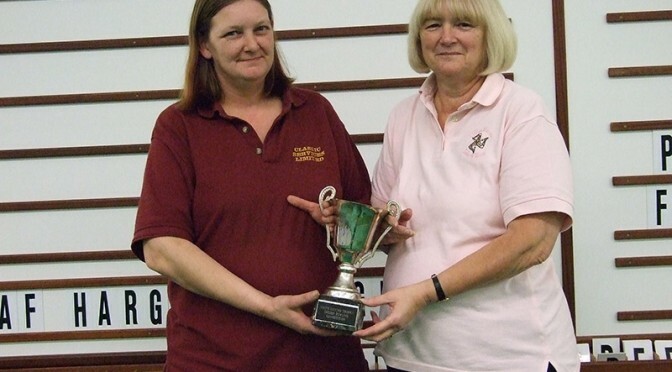 Chris Holland & Jayne Smith took the 2 Bowl Pairs title last Sunday at the NSC with a superb performance which saw them remain unbeaten throughout the days play. Josh Ffrench & Stephen Gale successfully defended their 2 Bowl Pairs title last Sunday at the NSC with a superb display of bowling throughout the day to take their 3rd title in 4 years in the event. Josh Ffrench & Stephen Gale triumphed in the 2 Bowl Pairs last weekend at the NSC after beating last years champions Seamus Whelan & Collin Holland 10-9 in an exciting final.